Pharmacies dispense and prepare medications and provide drug-related counsel to the public. 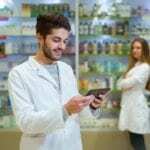 A pharmacy technician’s role in pharmacies has expanded in recent years as they assist the pharmacist with the management of the day-to-day pharmacy operations. 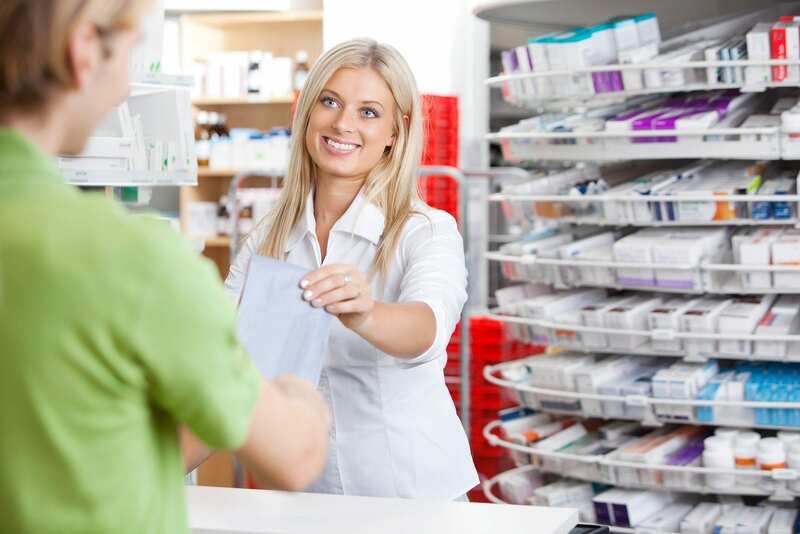 Using their technical skills pharmacy technicians label and fill prescriptions, mix and compound medications, monitor drug inventory, prepare bulk medications, work with patients and insurance providers, secure refill authority, and manage inventory. 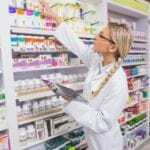 Pharmacy technician programs in New York include classroom theory and practical experiences to prepare students for the role of a technician in a retail, hospital, or mail-order pharmacy and success on the national certification exam. The pharmacy technician program at Queens College is a comprehensive course that prepares students for the Pharmacy Technician Certification Exam. The curriculum comprises of six separate courses that address the essential components of a pharmacy tech’s job. The modules are Medical Terminology, Pharmacology Theory and Calculations, Pharmacy Technician Fundamentals and Test Preparation Techniques, Insurance Billing and Legal Liability, Computerized Testing Practice, and Hospitality Services for the Health Care Provider. A high school diploma is a prerequisite for entering the program. Tuition for the 112-hour program is $1,790. Registration and certification cost $95. Access Institute’s pharmacy technician program teaches students how to function as an assistant to a registered pharmacist in a hospital or retail setting. Students develop the skills and knowledge that will help them qualify for entry-level employment and to succeed on the national certification exam. Qualified instructors cover orientation to pharmacy, communication skills, insurance and inventory procedures, pharmacology, pharmacy law and ethics, and medical and pharmaceutical terminology. A clinical experience will follow the classroom lectures and will serve to reinforce the theoretical concepts. These modules help students demonstrate ethical conduct, interpret physician orders and prescriptions, perform pharmaceutical calculations, manage inventory, recognize the importance of patient confidentiality, and process insurance claims. The pharmacy technician program at New York Institute of Medical Careers is a 130-hour program that awards students a certificate of completion. Graduates are encouraged to take the National Certification Examination to obtain professional certification in the field. Course topics include the history and profession of pharmacy, pharmacy law and ethics, drug interaction, basic math and measurement system, dosage forms and administration, hospital pharmacy, retail pharmacy, and advanced pharmacy, and safety in the workplace. Other topics include calculations of dosages, prescription compounding, and financial and health insurance. Students have an option to participate in the optional internship at Walgreens Pharmacy. Class schedules are weekdays and weekends. Applicants must have a picture ID, social security card, and high school diploma or GED. Tuition for the program is $749. Books and registration cost an additional $150. An easy payment plan is available to all students. The pharmacy technician program at NY Medical Career Training Center includes theory, skills, and a pharmacy internship. The theory covers basic anatomy and physiology, basic sciences for pharmacy, complementary alternative medicine, classification of drugs, hospital pharmacy, and psychopharmacology. The skills component covers OTC medication, drug calculations, aseptic techniques, repackaging and compounding, pharmacy stock, skin care products, and billing and computers. The 120-hour internship provides opportunities to practice drug distribution, billing cash register, pre-packaging and compounding, dispensing refills, and answering phone calls. The program will also give students the preparation needed to pass the National Certification Exam. Tuition for the 250-hour program is $1,159. Morning, afternoon, evening and weekend schedules are available. The duration of the program is 5 to 6 weeks based on the schedule. The practically oriented pharmacy technician program at Bramson ORT College includes hands-on training in state-of-the-art laboratories. Due to individual attention and tutoring, students have an excellent chance of success on the PTCB national exam. The curriculum covers training in medical terminology, pharmacology, pharmacy calculations, pharmacy procedures, and clinical procedures. Students must complete a pharmacy internship to develop the skills to secure employment in the pharmaceutical industry. The program covers 30-semester credits, which are transferable to two-year or four-year program at Bramson ORT or other colleges and universities. Anyone who can demonstrate academic preparedness and maturity may apply for the program. However, a high school diploma is GED is a necessity for admission. Tuition for the program is $11,280. Books cost $600. There is a one-time lab fee of $150. The pharmacy technician program requires students to complete 70 hours of class time to gain the theory and practical skills to assist pharmacists in a retail or hospital pharmacy. Interested persons must attend a 2-hour information session to meet the instruction and learn the program’s expectations. Applicants must possess a high school diploma and pass an online screening test. Students meet Tuesday and Thursdays for a total of 20 sessions. Tuition for the program is $1,015. The pharmacy technician program at Ace Institute is designed for persons interested in pursuing a career as a pharmacy technician. The program will provide an in-depth knowledge of the role and function of a pharmacy technician. Students will learn how to identify the constituent parts of the human body, calculation and convert dosages, receive and understand prescriptions, apply proper storage methods for medications, and understand the physiological process of drug interaction. Also covered in the training are asepsis and repackaging, insurance and third party billing, and OTC products.